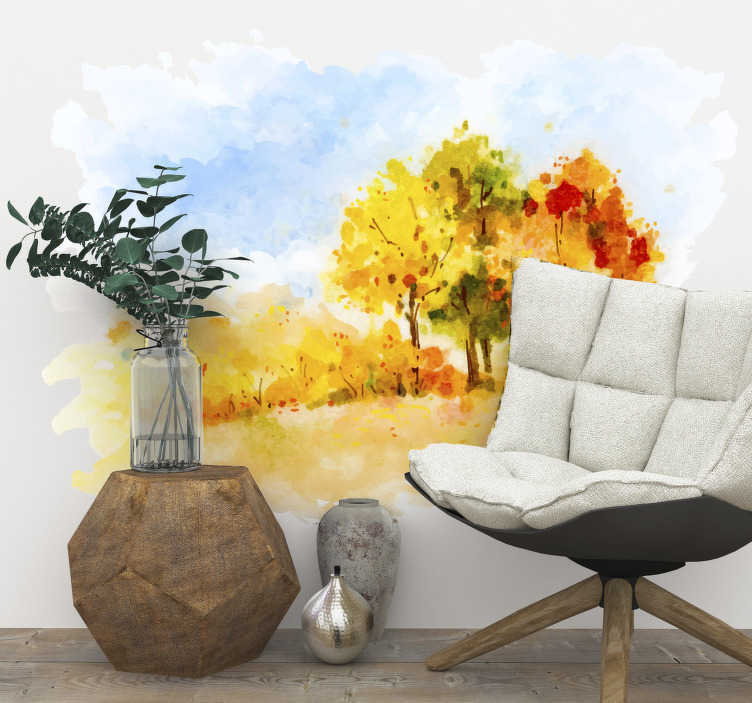 Add some autumnal themed decoration to your home with this fantastic wall art sticker, turning Autumn into a Van Gogh-esque masterpiece! It is the best season for so many reasons - Whether it be the gorgeous sight of leaves falling off trees or the stunning red skies and amazing scenery, it is impossible not love! That is why we think it makes a brilliant nature themed wall decal!